First mix together cabbage and the broccoli slaw. Add chopped onion to the mix. In a separate glass or bowl mix the milk and vinegar. It will cause the milk to separate. Pour it into the main mix and add the mayo, sugar, salt, and pepper. Now begin to mix. 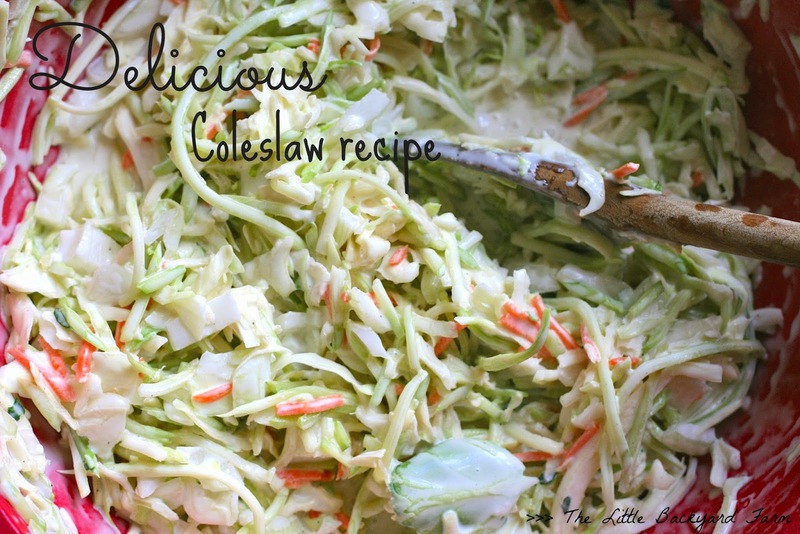 It will be a bit tough at first but as soon as the ingredients begin to mix, it will become more soggy and it will start resembling the actual coleslaw. ... and you are finished, it should look something like my picture - easy, right? And pretty yummy!